NIST recently took part in the OSH event organized by UBM on safety management at Mumbai. The two days program conducted on 10th and 11th November, 2016 at CIDCO Exhibition Center, Navi Mumbai, had attracted several safety professionals, entrepreneurs and renowned exhibitors worldwide. The crowd was huge and NIST had the best of opportunities to meet its target audience. We are happy to say that most of the professionals who visited OSH had all known NIST well ahead and showed their interest in doing and continuing their business and safety courses with us. We answered lot of enquires from corporates and individuals about the services we offer at NIST. The approach and the interest the entities presented towards NIST shows that NIST's training and service quality has attained international standard. 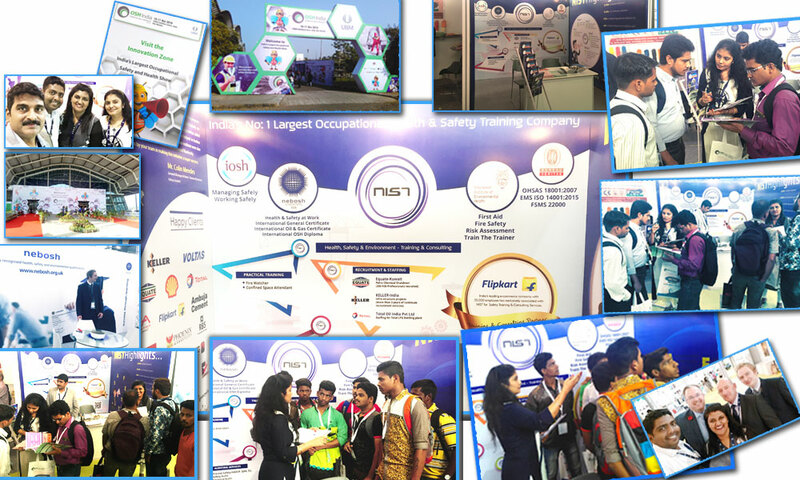 Along with our trusty customers, potential clients and safety professionals, several other individuals including freshers who have chosen to indulge in the field of workplace safety and health safety, met us there at stall number B27. Our main objective is to inculcate safety knowledge in the minds of individuals and increase their skills in identifying and reducing risk so that our workplace remains healthy and risk free! We look forward to take part in the next OSH event to keep in touch with our target audience.